With Climate Code Red, David Spratt and Philip Sutton have provided a valuable and sobering contribution to the policy challenge of climate change at a pivotal moment. 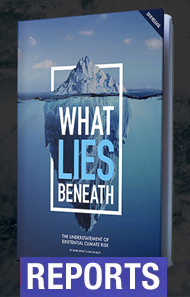 Over recent months it has become ever clearer to many of us working in the field that global warming, accelerating faster than scientists had predicted, is leaving policy so far behind it is outdated as it is released. The current ambitious policies of the Australian Greens, developed on the basis of science 12-18 months ago, are now too conservative. Where, then, does that leave our new Federal Government, elected on a platform of climate action far weaker than the Greens’? Spratt and Sutton persuasively call on us to put aside politics as usual. 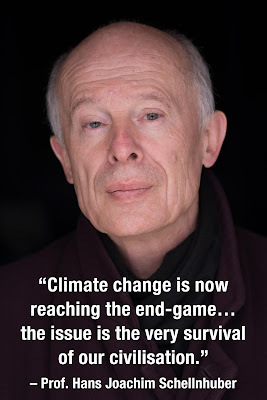 My great fear, however, is that none of the people now charged with setting Australia’s emissions targets – Professor Garnaut, Ministers Wong, Swan and Garrett, and Prime Minister Rudd – have grasped that this is a state of emergency and none are ready to set aside politics as usual. 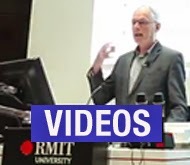 Spratt and Sutton have provided a vital example for Professor Garnaut on the work that is needed to set emissions targets – not by “plucking figures out of the air because they are politically convenient or someone else said they might be OK”, and not by economic analysis of what now seems achievable. We have been exposed to (Canadian PR) research that indicates that if you want the public to pressure the government about policy response to climate change, the ENGO's can't be the source of the heavy message, too many people discount it. However they will listen to scientists giving out serious messages. But they don't like scientists talking science - it is too often interpreted as disagreement. However, ENGO's with science based ideas for solutions are heard. There is obviously useful material in these studies but for the moment the [many climate groups] and others are avoiding the hard message. I am also aware of 'operational psychosis' among several climate scientists, who are in total surrender in their labs and speaking optimistically in public. It remains to be seen how an otherwise forward looking Climate Action Team of 22 'experts' influences the BC Premier's Climate Action Secretariat in the formulation of emission targets for 2012, 2016, 2020 and 2050. We have legislation in BC for a 33% reduction in emissions below 2005 levels (10% below 1990) - but no penalties for failure! Other than the big penalty of course.